In a lead up to TICAD 7 scheduled to be held in Yokohama in August 2019, UNDP started to convene a monthly gathering, “AFRI CONVERSE”, to galvanize discussion on African development and TICAD as well as to promote networking among stakeholders. The 10th AFRI-CONVERSE session will look into Africa’s Diverse Culture and Beauty: Sports, Fashion, Dance, and Music. Registration: Required from the website below. In NHK world radio Japan, Anyango delivers Japanese culture and latest topics in Swahili. Unaweza kufikia kwenye tovuti inayofuata. Kuanzia 13:00 Novemba 18 (Jumapili) wakati wa Japan. Anyango will be around 16:45pm feat Kids!! Do not miss it! This event aims for better understanding among all nationalities living in Japan by singing. Japanese sing in foreign language and Non-Japanese sing in Japanese.Let's enjoy singing and dancing with all performers.Many of Non-Japanese residents and International students in Japan are struggling to brighten up Japanese society with their efforts. INTERNATIONAL　RED-WHITE SINGING FESTIVAL aims for new type of event which Non-Japanese and Japanese help each other to organize. We hope Japan would be better place to live for Japanese and also Non-Japanese residents who are also contributors for Japanese society. Japanese sing in foreign language , Non-Japanese sing in Japanese to show the respect for different culture. Unaweza kufikia kwenye tovuti inayofuata. Kuanzia 13:00 Oktoba 14 (Jumapili) wakati wa Japan. 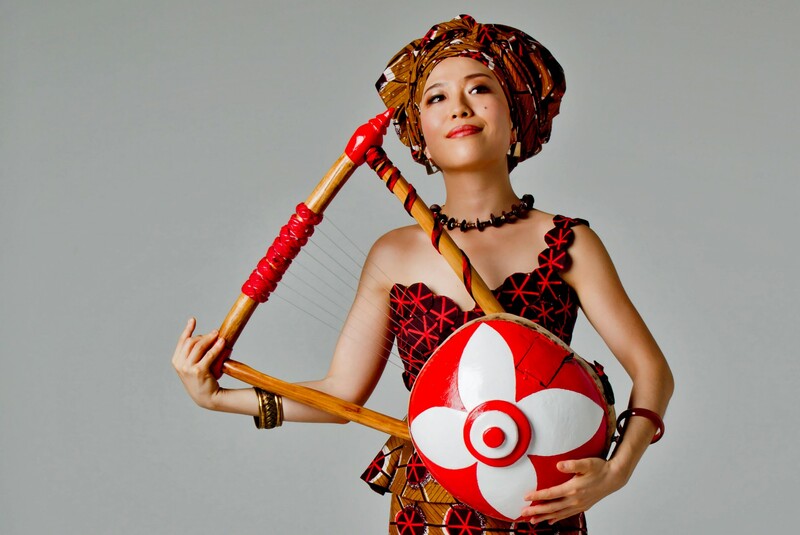 Japan-born Anyango is the first woman in the world to play the nyatiti, a traditional stringed instrument played by the Luo people of Kenya. What drives her to spread its sound around the world? Anyango's regular program "Ukumbi wa Jumapili"
In NHK world radio Japan, Anyango's regular program will be appearing from this April !! Program Title "Ukumbi wa Jumapili"
Unaweza kufikia kwenye tovuti inayofuata. Kuanzia 13:00 Mei 13 (Jumapili) wakati wa Japan. \500 Anyango, Latyr Sy and Nyatiti Warembo!! 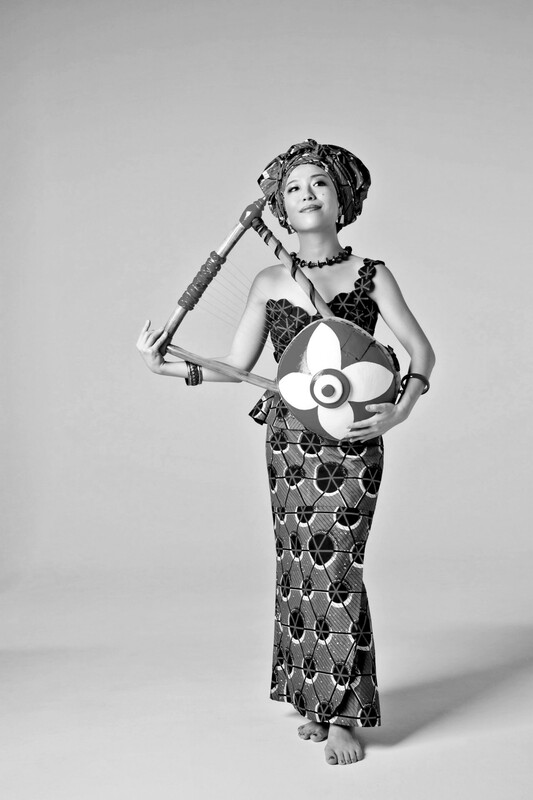 On April 18, 2018, she won the Higashi-kuninomiya Cultural Memorial Award for the creative dissemination of Kenya music over a decade. 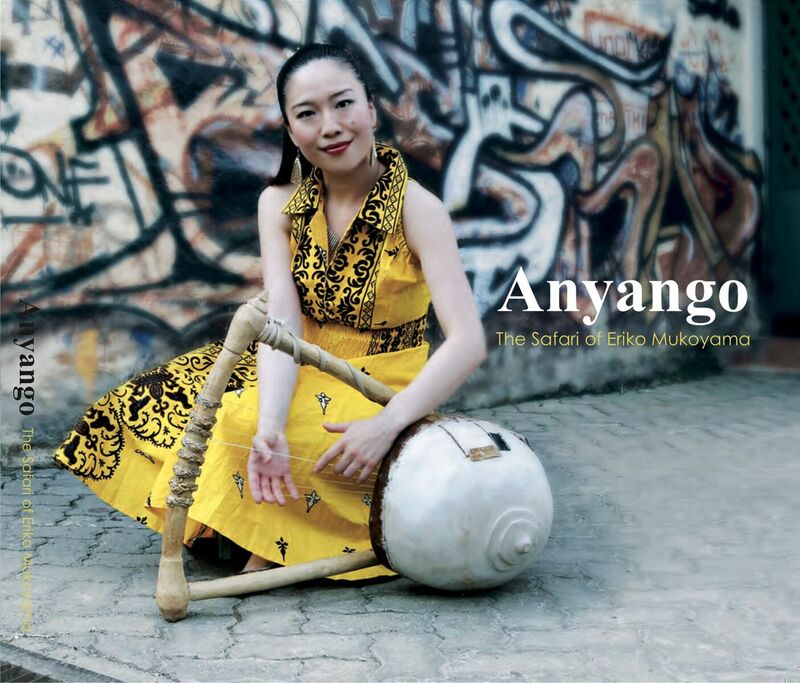 Anyango was awarded "Higashi-Kuninomiya Culture Award"
On November 3, 2017, she was awarded "Higashi-Kuninomiya Culture Award" for her 10 year goodwill cultural contributions toward Japan and Kenya relationship. The award is one of the important awards given by three Royal Families, which are Takamatsunomiya Award, Chichibunomiya Award and Higashi-Kuninomiya Award. Unaweza kufikia kwenye tovuti inayofuata. Kuanzia 13:00 Machi 4 (Jumapili) wakati wa Japan. Unaweza kufikia kwenye tovuti inayofuata. Kuanzia 13:00 Februari 4 (Jumapili) wakati wa Japan. Anyango Official Online Store is opened! Please check this out ! Anyango appeared the PV "Antelope Audio Japan"
Anyango will be around 17pm feat Kids!! Do not miss it! Thursday Nite Live ft. Anyango – Direct from Japan! Everybody welcome to join this Peace Ceremony. Kanagawa Session Live "enda safari Vol.2"
This is the first time for Anyango to officially release her album in Kenya and East Africa. 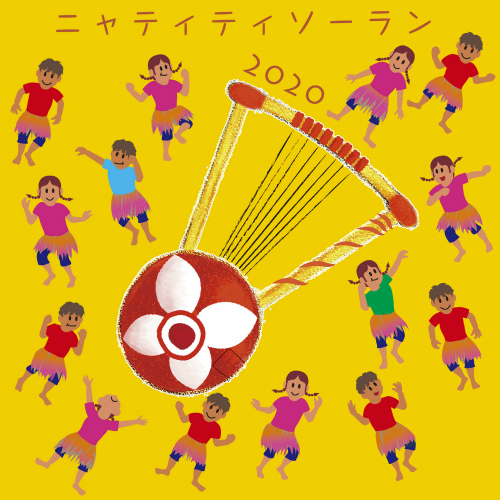 Nyatiti Soran 2020 is a fusion of traditional Kenyan Nyatiti, traditional Japanese Soran-Bushi,and western dance music,created by Anyango the first female Nyatiti player in the world. "Savanna" is the first instrumental album of Nyatiti by Anyango, which will invite you to the grand African earth. "Kilimanjaro" will show you a fusion of the African roots music and the current electro music, the West and the East, the fusion of versatile culture, and the kaleidoscopic music world. 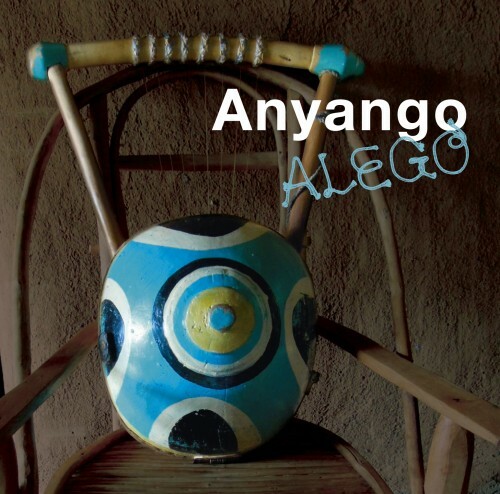 "ALEGO" released in October 2013, was Anyango's forth album. "ALEGO" is a name of the Kenyan village where Anyango mastered the Nyatiti. 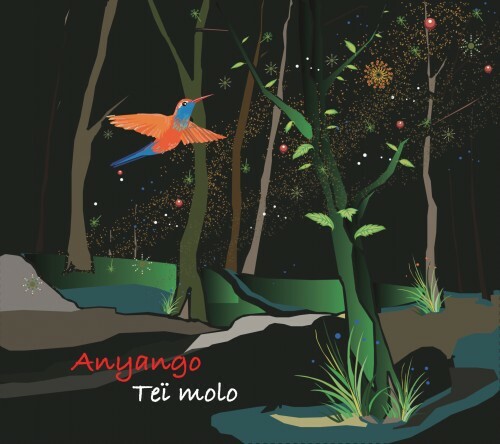 "Teï molo" released in September 2011, was Anyango's third album. The mix of the bikutsi rhythm and the nyatiti rhythm will give birth to a new legend in World Music. 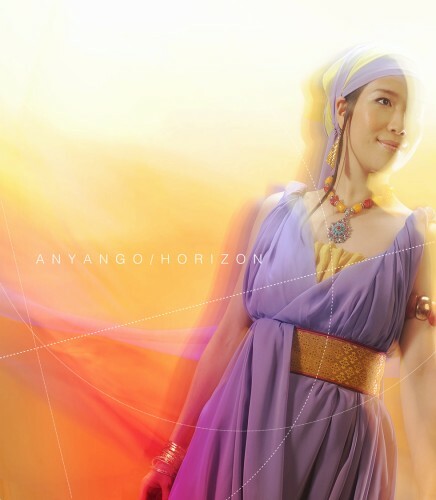 "HORIZON" released in May 2010, was Anyango's second album. Some tracks are traditional Luo songs arranged by Eriko Anyango Mukoyama, and some tracks are new songs written by Eriko Anyango Mukoyama. 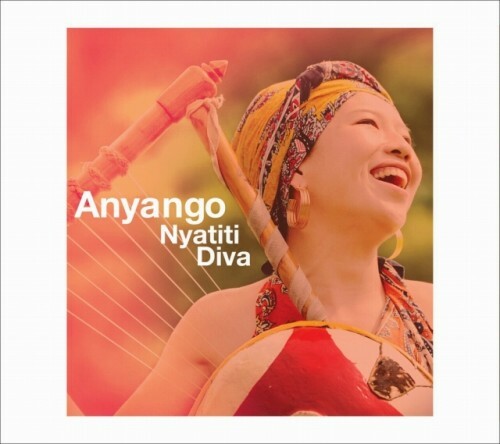 "Nyatiti Diva" released in September 2009, was Anyango’s first album. 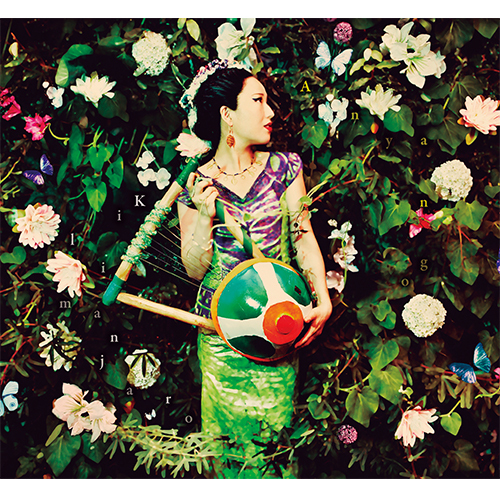 All the tracks are traditional Luo songs arranged by Eriko Anyango Mukoyama. 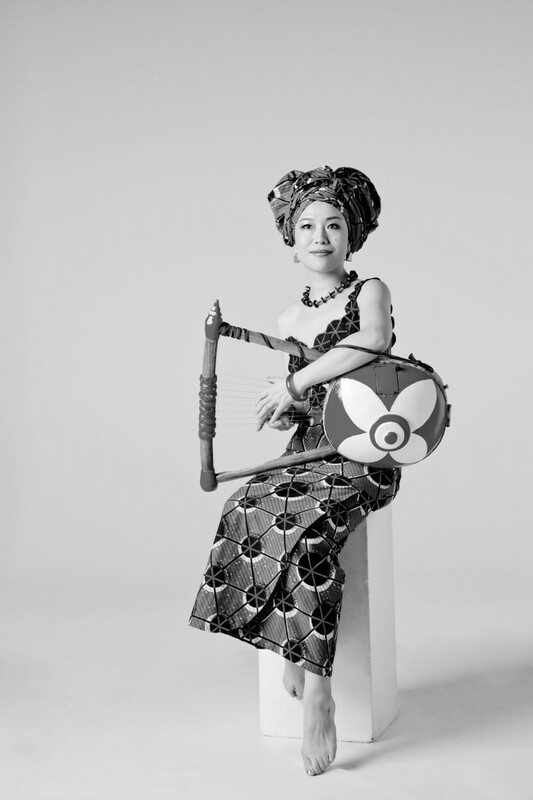 Anyango is the world's first female nyatiti player. The nyatiti is a traditional instrument of Luo tribe in Kenya. The harp-like instrument has traditionally been played only by men in the tribe. "Anyango" means "girl born in the morning" in Dholuo. In 2005, she lived in the village of Luo, located in western Kenya, on her own to master the nyatiti. It was not easy to play the instrument, because it had never been played by a woman. In 2007, she became so famous all over Kenya that she appeared on TV, in newspapers and on the radio many times. She played in front of fifty thousand people at the STOP AIDS Concert held in Kenya, hosted by the United Nations. In May 2008, she performed in front of many African leaders in a ceremony for TICAD IV. In July 2009, she was selected as "one of the 100 Most Respected Japanese People in the World" in "Newsweek Japan". In August, she published a book, "Yume wo Tsukamu Hosoku". The book was ranked first in the non-fiction section of "Amazon Japan". In September, she released her first solo album "Nyatiti Diva" and it was ranked first on Tower Record's World Music chart in Japan. In May 2010, she released her second album "HORIZON". In addition, she was joined by other recording artists, such as the famous violinist Hakase Taro. In August, she appeared on a stage at the "Fuji Rock Festival", which is the largest outdoor music festival in Japan, and she was chosen as the best act in the world music genre. In February 2011, she left for France to make a new album. Sally Nyolo, who was a member of Zap Mama, produced this Album and recorded with Anyango at four places in France and Cameroon. In July, she released her CD "Koe wo Kikasete" and published a book "Motto Toku e". The book was ranked firstin the music section of "Amazon Japan". In September, she will release her third album "Teï molo". In August 2012, she published a book, "Anyango no Shin-Yume wo Tsukamu Hosoku", which was ranked first in the non-fiction section of "Amazon Japan". In July, she visited France and performed in Paris and Bordeaux. In October, she performed in Izumo-Taisha Grand Shrine, which is one of the most ancient shrines in Japan. In 2013, regular concert named "Anyango Promenade" was held in Japan. This event is also a memorial event of Kenya's 50th Independence Jubilee. In March, she appeared on a stage at "Mvet Art Festival" in France. In May her interview was published in "Japan Journal", and that issue put her on the cover. During her World Tour 2013, she performed in Italy, Germany, France and Kenya. In October, she released a new album "ALEGO" in Japan. She has acted a radio personality of NHK WORLD Swahili for 3 years. 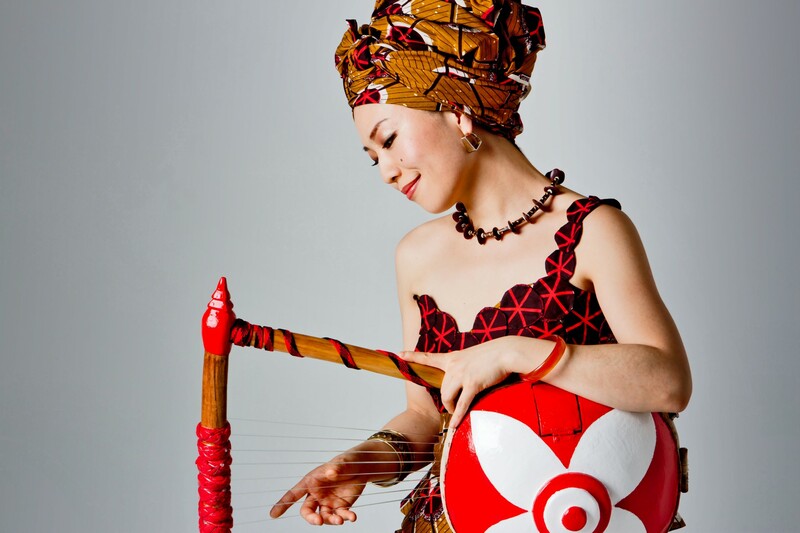 A documentary of Anyango "My African Music" broadcasted via NHK WORLD TV channel. In 2014, she continued touring the EU, North America, Asia, and Africa. She released her 5th Album "Kilimanjaro" in autumn. In 2015, she was invited to perform at "Sing for Peace and Hope Concert" on the United Nations Peace Memorial Ceremony Hiroshima, Nagasaki and Tokyo in August. She released her 6th Album "Savanna" in October. In August 2016, she released DVD "Anyango Live in Tokyo" in Japan, and she released her best album "The Safari of Eriko Mukoyama" in Kenya,Tanzania,Uganda. 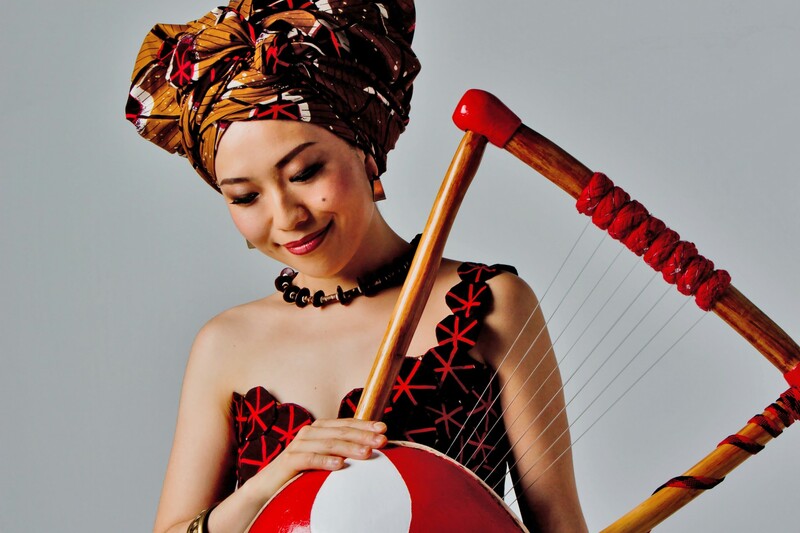 In addition, she performed at the reception parties of "TICAD Ⅵ" and "Hideyo Noguchi Africa Prize", which were held in Nairobi. She appeared on NHK BS1 international report 2016 "WORLD LOUNGE" in September. In January 2017, her best album "The Safari of Eriko Mukoyama" was also released in Japan. She has started to appear regularly in NHK Radio Swahili. In Novemver, She was awarded "Higashi-Kuninomiya Culture Award" for her 10 year goodwill cultural contributions toward Japan and Kenya relationship. The award is one of the important awards given by three Royal Families, which are Takamatsunomiya Award, Chichibunomiya Award and Higashi-Kuninomiya Award. "Nyatiti" is a traditional instrument of the Luo tribe in Kenya. Its size is about twice as small as an acoustic guitar. The performer has three tasks when playing the Nyatiti: percussion, strings, and vocal. Anyango is the first female nyatiti player in the world because the instrument has traditionally been played only by men in the tribe. The Nyatiti is played sitting low to the ground, while keeping a small distance from your body. You also put iron bells called "gara" on your right ankle and a metal ring called "oduongo" on the big toe of your right foot. Then, you sing and play keeping the beat by tapping the ring on the edge of the Nyatiti. The Nyatiti is also called Kanbanane. "Kanba" means string and "nane" means eight, so it literally means "eight strings". The body is made of a hollowed fig tree and is like a hemisphere. Cow skin is put on the surface of the hemisphere. Nylon fishing lines are used for the eight strings, which have three thicknesses. In the past, female cow's Achilles' tendons were used for the strings instead of the fishing lines. Two thin bamboos like sticks and wood chips are bonded together by bee wax, which creates a deep echoing sound. There are reasons why the Nyatiti has eight strings, why only men are allowed to play it and why it is called "Nyatiti". The first four days after a male's birth and after his death are said to be very special in Luo culture. In Nyatiti, the lower four strings represent the first four days of his birth and the upper four strings represent the four days after his death. Please contact the address below if you have requests for performances or interviews. Copyright © 2017 JOWI music, JOWI entertainment All Rights Reserved.